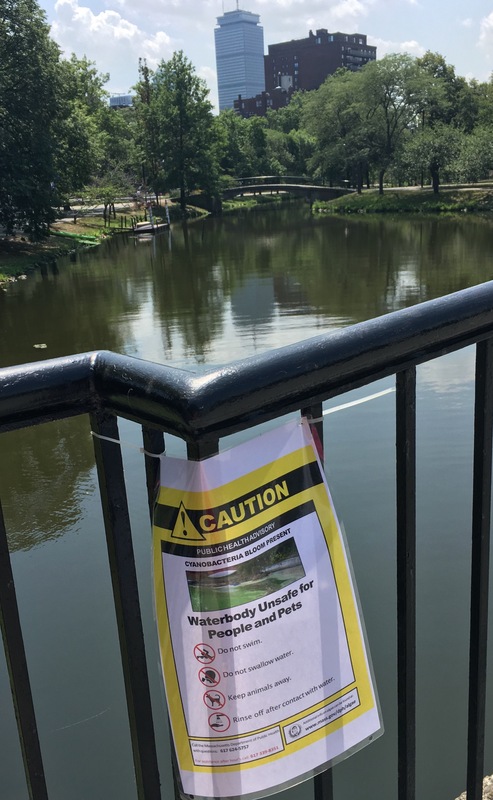 When I first set foot on the algae slimed, goose-poop covered banks of the Charles River in the summer of 1983, it was love at first sight. For the first time in my life I felt truly at home. I never left, and while I still love Boston, I can sometimes take it for granted or forget how much I love it. Last week good weather and a decent work load combined to propel me outside at lunch to take a walk along those very same banks. It’s much cleaner now, although most people prefer to enjoy it from a sail boat or a kayak. I walked along the bank, lost in thought, until I realized it was time to head back. When I turned and saw the view, I fell in love all over again. 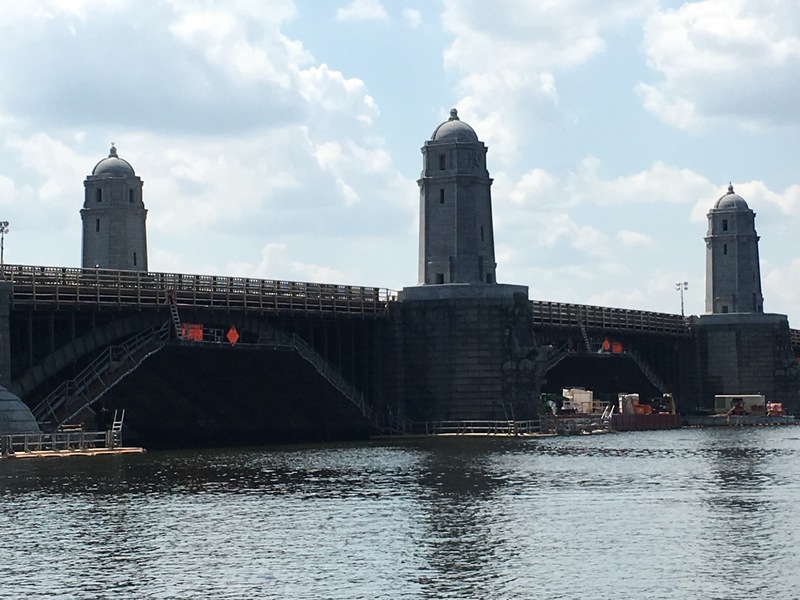 That’s a view of the Longfellow Bridge, better known as the salt and pepper bridge because of the shape of the 4 central towers. The state has been renovating the bridge and they took each “shaker” down to restore it and this was the first time in 3 or 4 years that I have seen all 4 back again. 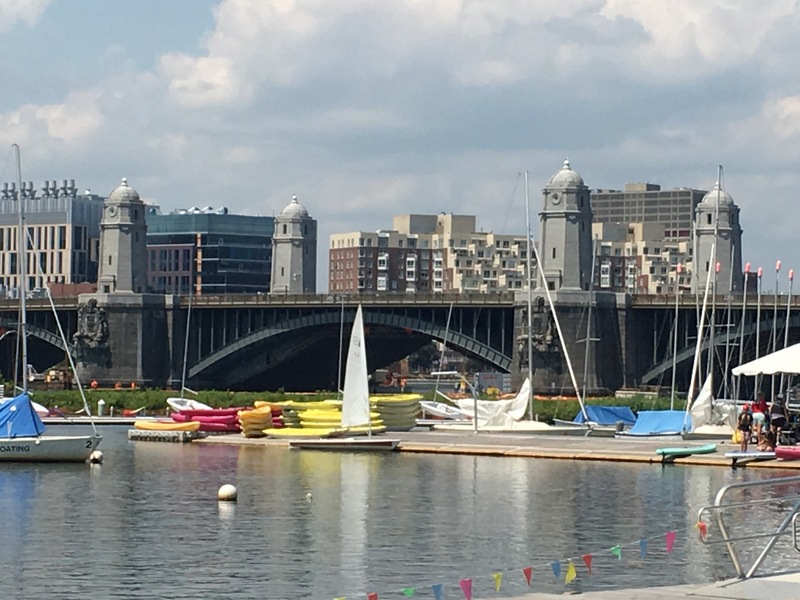 Add the sail boats from Community Boating, and you have the quintessential Boston/Charles River picture. Here’s a close up of the salt and pepper shakers. So there I was, giddy and gushing over my city, on my walk, when I came upon city workers posting these signs. No matter that I had just seen a dog standing in the water and lapping it up, and a while later saw a man sitting in it, communing with nature. We still love that dirty water. Boston you’re my home. 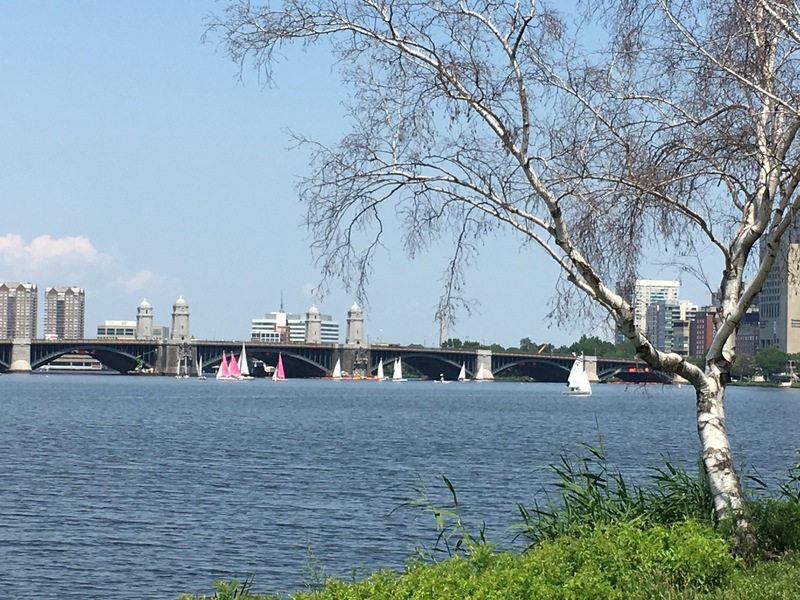 This entry was posted in Boston, family, Looking back, Mid-Life, Musings, work and tagged Boston, Charles River, Dirty Water, Longfellow Bridge, salt and pepper Bridge on August 7, 2017 by sdeden.